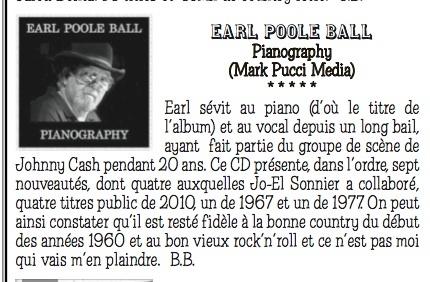 Check out the reviews on Earl's most recent CD! 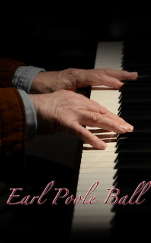 2013's Elite Half-Hundred Part II Earl's CD clocks in at #43! Rockabilly, Bluzabilly, C&W, Honky Tonk …. 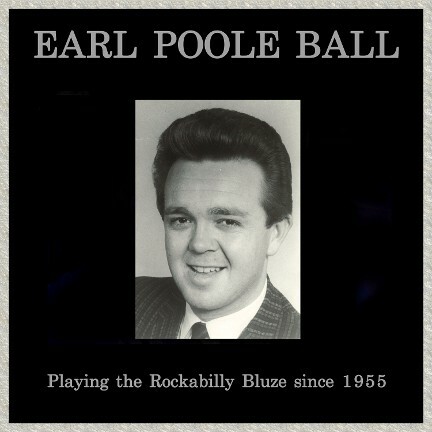 call it what you will, Earl Poole Ball delivers it in style on this collection that spans the years 1967-2013 chronicling Ball’s life and musical journey through Mississippi, Texas, California and Tennessee. Accompanied by some of Nashville’s finest musicians Ball’s journey starts with the wild rockabilly of ‘Second And San Antone’ recorded in Hollywood and ends up with a session in Austin that includes his rolling piano on the Western Swing styled title track, a great duet with the multi-talented Cindy Cashdollar on ‘Say You Love Me’ powered by Ball’s rock’n’roll piano and Cashdollar’s superlative lap steel, and the Johnny Cash styled ‘The Real Me’. In between there is a stunning duet with Lisa Mills on the spiritual ‘Will The Circle Be Unbroken’, and the vintage rock’n’roll of ‘Mean Woman Blues’ where Ball lays down some explosive piano over Kevin Smith’s slap bass – both from 2010’s Johnny Cash Bash. Cash’s ‘Big river’ can only be described as “Honkybilly” whilst Roy Orbison’s ‘Down The Line’ is rockabilly at it’s finest. 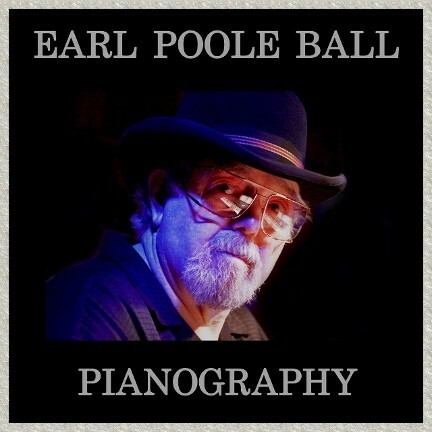 My pal Earl Poole Ball has a hit record on his hands....it's a very special collection of tunes , played by the modern day masters of our generation. All like minded music lovers need to own this CD, as you'll want to be among the 1st to say: "Heard it ? Hell, I own it ! "